I know you’ve been waiting…and waiting…and waiting…and Tiger’s Dream is finally just around the corner. So, on this blog post, I’m going to try to answer a few non-spoilery types of questions and talk about the brilliant cover too! First of all…Why The Wait? This is a fairly easy answer. My first imprint, Splinter, who published the rest of the tiger series, closed. What that means is, they are no longer purchasing new material to print. They are, however, still in the business of printing the other tiger books and continue to hold the rights to the series in the United States and Canada which made finishing the series doubly difficult. No other publisher wanted to pick up the last book in a series when someone else owned the others. Believe me when I say I tried. I really did. That left me with one option, self-publishing, which explains the cost of the paperback as well as why there isn’t a hardback, but I digress. That’s another blog post. Now the self-publishing of Tiger’s Dream is only true in the United States. In Brazil, China, and other countries that have purchased the tiger books, Tiger’s Dream will be printed in the usual manner. I ended up writing Tiger’s Dream between Reunited and The Lantern’s Ember. Since The Lantern’s Ember is still being released at the one year mark from Reunited, you can be certain that I rarely slept in 2016 or 2017. This means that while Ren and Kishan were my first loves, I finished Amon’s, Asten’s, and Ahmose’s series first. Hey there, that’s five swoonworthy young men. They would make the world’s most awesome boy band, don’t you think? What’s Up With the Tiger’s Dream Cover? Funny you should ask. As you know, most of my covers don’t have actual people on the cover. The only ones that do are Tiger’s Promise and Tiger’s Dream. And there’s a reason for that which I’ll talk more about below. 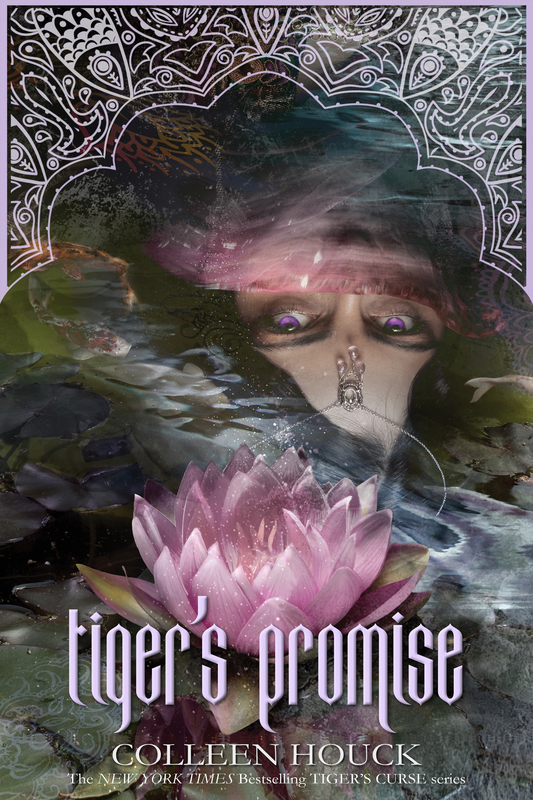 Of all my books, I have been able to choose the cover for three of them, Tiger’s Promise, Tiger’s Dream, and Reignited. Reignited was easy. I just had it matched to the other books in the series and told them to do a cool eyes, the goddesses at the bottom, and then chose the color palette. 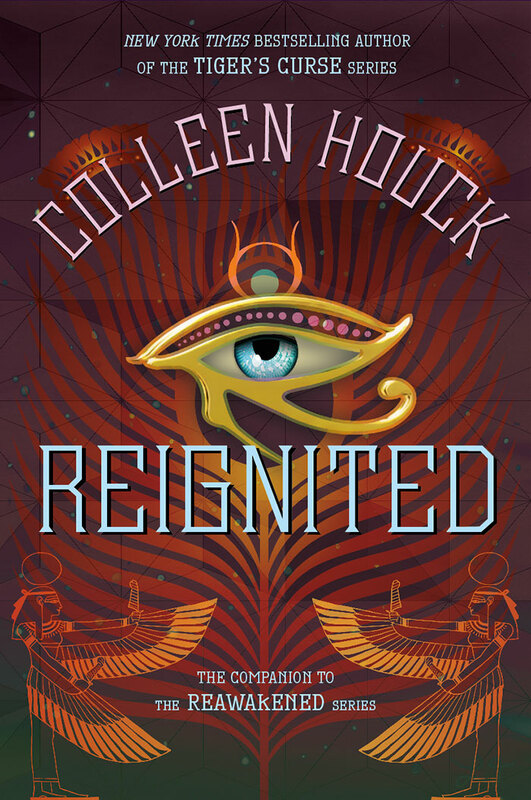 One really cool thing about the Reawakened covers is that the color of either the title or my name at the top indicates the color of the next book released in the series. This is a really pretty set when you look at all the covers. 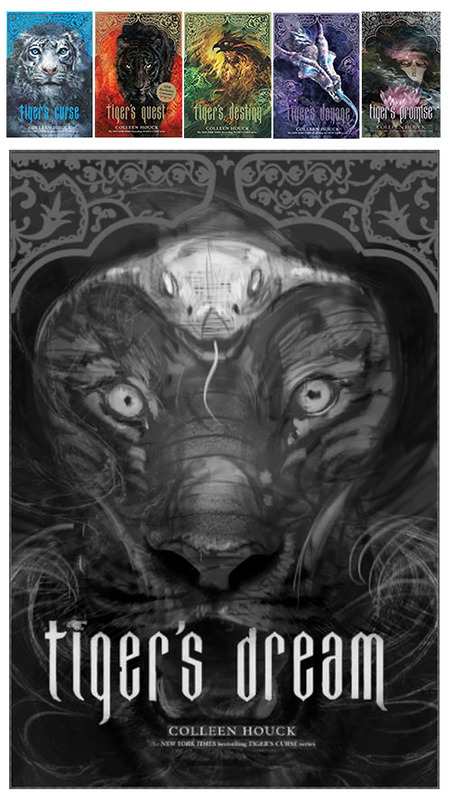 With Tiger’s Promise, I couldn’t put a magical creature on the cover since there weren’t any in the book. Except koi. There are koi fish on the cover, but not in a prominent place. Who’d pick up a book with a gaping mouthed koi fish on the cover? Besides, the story wasn’t about the koi, who make a comeback appearance in Tiger’s Dream by the way, it was about Yesubai. It felt wrong not to put her on the cover. 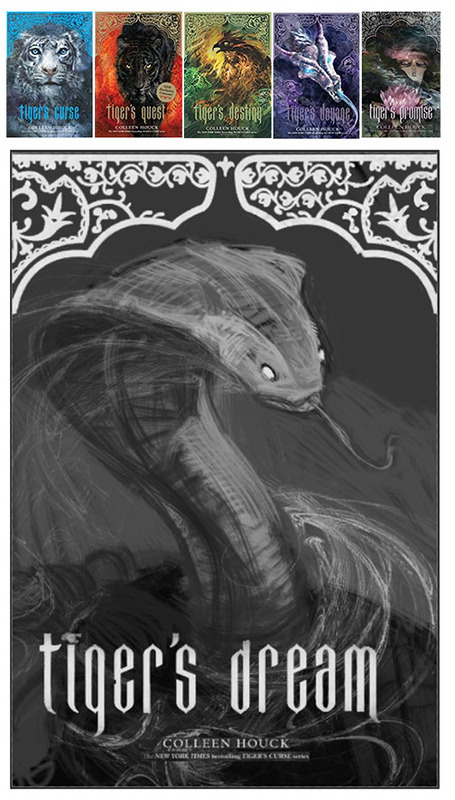 Since the publisher, Splinter, wanted to focus on the eyes with each cover, I thought it fitting to emphasize Yesubai’s eyes. 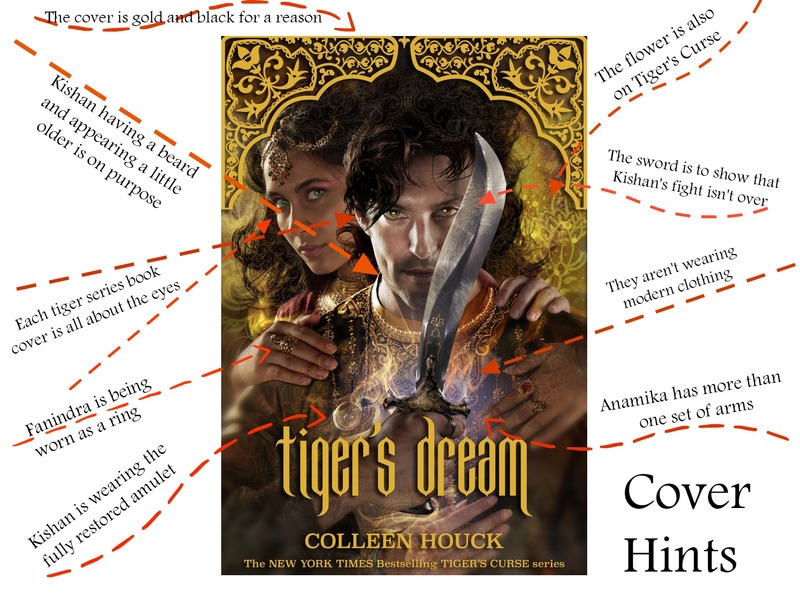 If you want to read more about the Tiger’s Promise cover and the symbolism behind it, you can read the BLOG POST I wrote about it a few years ago. When it came time to sketch out the Tiger’s Dream cover, I went back to the artist who did all the other tiger books, Cliff Nielsen. I told him about the book and he came up with some really cool designs. We knew we wanted to match the other books so the first thing we came up with was a cover featuring Fanindra. I love the idea of that and seeing her on the cover would have been extremely beautiful. Ultimately I passed on that one since the book isn’t really about Fanindra even though Tiger’s Dream does explain Fanindra’s origins and does spotlight her in a cool way. The next cover image sprung entirely from Cliff’s imagination. I have spent far too many moments studying this piece and it is a work of art. I would have LOVED to have a finished image to keep in my collection. It’s a mashup of Fanindra and Kishan’s tiger side. It’s amazing! It was my hubby’s favorite and it was so hard saying no to this one. Finally, we took a look at Cliff’s drawing with people on the cover. Why people, you might wonder, instead of tigers? Firstly, I already have books with tigers on the covers. Also, I wanted to show readers that the curse has been broken, that they finally get to be men. Additionally, I wanted this book to be something very different from the rest. I chose this drawing and ended up with this amazing cover! Okay, But What About Those Models? Now, where were we. Ah, models. So these two. Gorgeous, aren’t they? Once I described the characters of Kishan and Anamika, Cliff sent me a group of about twelve to fifteen male models to look through and both of us were immediately drawn to Sharif Dean. I believe Cliff put it best when he said that Sharif had the smolder. I agreed. It’s true that Sharif is Armenian/Italian and not Indian/Chinese but he was absolutely the best choice in the group. Here’s the picture that made me a believer. It was the arms…the abs…gah! No, I mean the eyes. Seriously, it was the eyes in the shot of him below in the white shirt. They were like my black tiger’s eyes staring back at me. And for those of you coming to the pre-launch party, you’ll get to meet him! You can follow Sharif on Twitter @Shar_Dean or check out his model profile on Model Mayhem. Anamika was much easier. 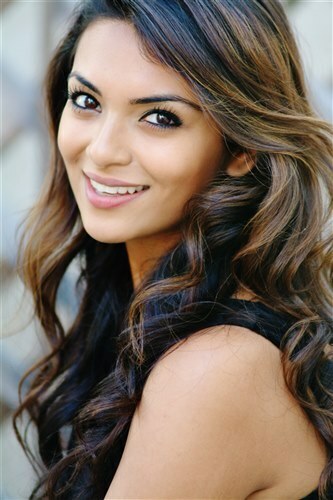 There were several beautiful Indian women to choose from but I chose Ayushi Chhabra. She’s not only lovely but she seems to radiate power and confidence. A bit like Wonder Woman, I suppose. You can follow Ayushi on Instagram @ayushi_mehr or check out her model profile on Brand Model and Talent. To help, I’ve made you a graphic to explain all the cool things about the cover. To tell you more is to give away too much of the book. Ooh except one I forgot. 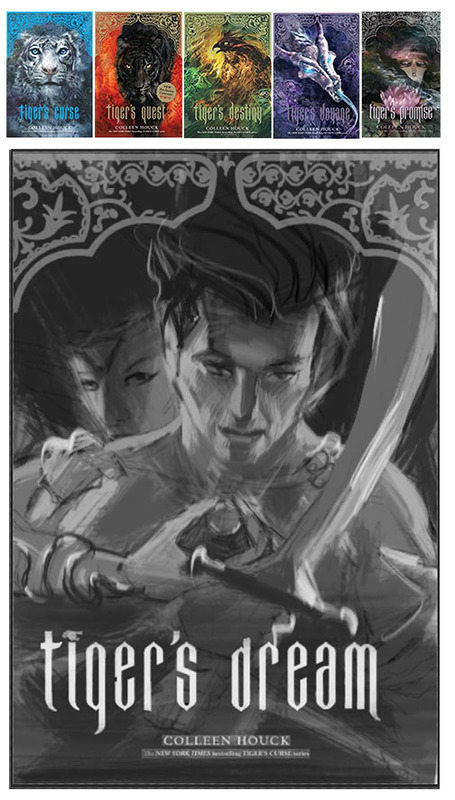 The light surrounding the amulet, just behind the sword symbolizes the theme for this book. I’ll give you a hint. Curse was the earth book, Quest was air, Voyage was water, and Destiny was fire. In Indian mythology there are five elements. You can look it up if you like. Also, if you recall, there were five pillars in the first temple Ren and Kelsey went to in Tiger’s Curse. One had been destroyed. A reread of the series is highly recommended before you start reading Tiger’s Dream. Tiger’s Dream Q & A on Goodreads. A W E S O M E !!!!!!!!!!!!!!!!!!!!!!! I love it! I don’t know if you remember, but, I asked a question as to why Durga was confused about the giant shark and looked to Mr. Kadam in confusion. You answered my question saying it will be revealed in this book why she was confused. Is that still the case? That has always been the one thing that confused me haha. I’m also super excited for the last book, I love you series and have read it over 20 times!!! Thank you for all your hard work!!!! Yep. It should be clear in Tiger’s Dream. I love all of the symbolism put into every cover! I think that Tiger’s Dream and Tiger’s Promis are my favorite covers. Sorry not a question, I’m just so thrilled your final book is being released and wish you were closer to Florida for the release party! Not to worry, I preordered online 🙂 Thank you for all your hard work, I have reread your series so many times! I was wondering when the book would be available in canada? Because this is my favorite serie and I just can’t wait! Same day as in the US, March 20th. Since Tiger’s Dream is being self published, will we be able to buy from places like Barnes and Noble or is it strictly available buying online from Amazon? They have the e-book and you might be able to order it through your local store but it’s unlikely they will stock it. I AM VERY, VERY ANSIOUS, to read this book! I’m happy for all of your work on this cover, although I like the idea where we would have Fanindra and Kishan in the form of tiger on the cover. Hi Marcus. I still have that gada! I love it. It’s easily the best gift I’ve ever received. Will tiger’s dream be available in hard cover? Not at this time. Hopefully someday. I hope that Tigers dream is published in hardcover sooner then later. I have all of the other books in hardcover and would like to have the whole series in the same format. I have started collecting your books and proudly display them on my book shelf. I’d love one too, believe me. Maybe we can do one someday. What will Tigers Dream be about? Is it an ending to the fourth book or does it talk about everybody’s backgrounds a bit more? By the way I loved your series and I have been waiting 3 years for this book, and I am so excited! I’ve been a bit quiet as to what Tiger’s Dream is about, but you can read the cover copy on my website or Goodreads. On my website, just go to the home page and scroll down until you see Tiger’s Dream, then you can read the copy. Will tigers dream be released in australia/internationally on March 20th as well? And will they be released in stores? I calculated how much it would cost me to buy it from amazon US, and it cost $50, and that’s ridiculous, despite my love for the series! Hi Vaira, I checked Amazon.au and they only have the ebook available at this time. However, you should be able to order Tiger’s Dream the print version from The Book Depository. They ship any book worldwide for free. I’ve used them before and they do a good job. You just have to wait until the book is available which will be March 20th since they don’t do preorders. I am a little worried from reading the description of Tiger’s Dream because Ren is not mentioned at all and I know that is most likely for a reason. As soon as I heard this book was coming out, I became nervous and excited. So much that butterflies appeared in my stomach and I know I’m going to be taken through another whirlwind of emotions. Thank you for self publishing this book for your fans. I absolutely love your writing. I hope with this book that I might actually start to like Anamika. I didn’t like her in book four because she came in between Kelsey and Ren even though both of them made it easy for her. Thank you again! I think you’ll really get to know Anamika and what makes her the way she is. Ren IS in the book. In fact, all the characters are in Tiger’s Dream, some in a very surprising way. You got it! It’s a relief in a way to finally tell you all the end of the story. I’ve been waiting a while. Hi! I was wondering if this book would also be released in hardcover or just paperback? Is the movie still being worked on? Is this book really going to be 800+ pages? When does tigers dream come out on paperback? It’s out in paperback now in the US and Canada! I’ve been trying to find it but I’m unable to. Is the movie going to be based on 1 book or multiple? I just finished the book and I cried and cried. However, I am so happy the book comes full circle and that Kishan gets his time to shine (even though he can be thick headed). I really didn’t like Anamika when she was first introduced, but this book has made me come to love her. Amazing job all around. All my questions from the previous books were answered and it really couldn’t have had a better, more thorough ending. But as with all endings comes a saddness… I am happy though as I re-read the series I have more understanding as to why things happen they way they do. My question is… Did you know how thing were going to end from the begining? Or did it naturally progress into a circle? You are one of my favorite Authors! Hi Natashia, so glad you loved it. I’m so happy to finally be able to finish this series the way I intended. I knew, yes but I didn’t know ALL the details. You can see as you read through the series that I left little clues here and there that came together finally in the end. I like the first and second pre-covers. Fanindra would have been amazing as the cover or Kishan and Finindra… I honestly think the last one kind of looks weird. All of the other covers have animals on them, Ren in Tiger form, Kishan in Tiger form, the dragon, the phoenix… And the last being of humans? It doesn’t fit… that’s my opinion anyway, but hey, I digress. Hey, Colleen! I just wanted to say, i fell in love with the series whenever i was in middle school. i immediately asked my mom to purchase all the books so i could have them all. i am now 17 and today i finished reading the fourth book for the third time! i cried like a baby just as i did every other time. i am so, so excited to start reading this one. i’ve waited and waited. my life will be COMPLETE when the movie comes out. i cannot wait!! thank you so much for writing this series. it has truly blessed my life. 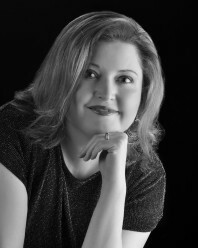 Hello Colleen Houck. I love the Tiger’s Curse Saga and hopefully will read the Lanter’s Ember soon. I have the first book actually signed by you and I got my mom hooked on the series as soon as she got done with the first book she asked me for the second book. Plus I rant on and on to my husband when i get riled up. I am a big fan of Kishan and can’t wait to see how things work out for him. I have question though. 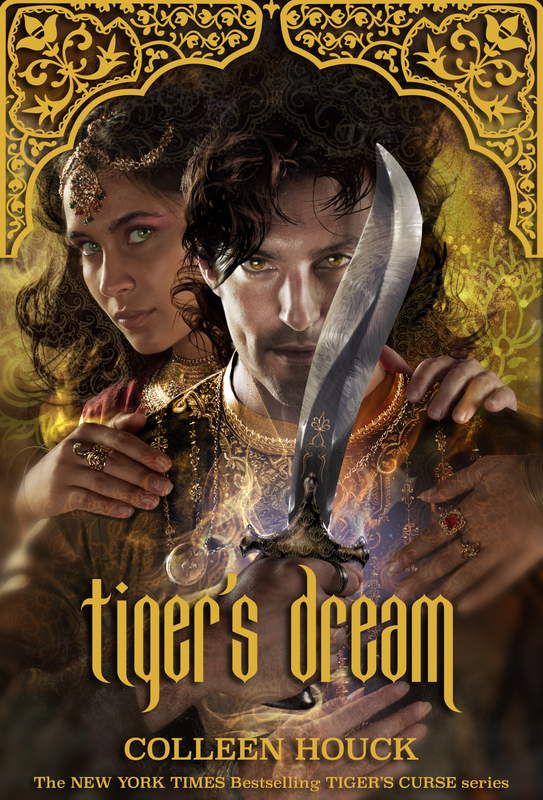 I have looked for both Tiger’s Dream and Tiger’s Promise in the hardcover since I have the whole series in hardcover and I love the impression sin the corners of the books. Will they come in hard cover soon? Those two books are self published in the US and because of that are not available in hardcover. Did you read Tiger’s Dream? That book answers many questions. Yay! Glad you came upon it. Maybe we can put it out in hardcover someday. Until then, happy reading!